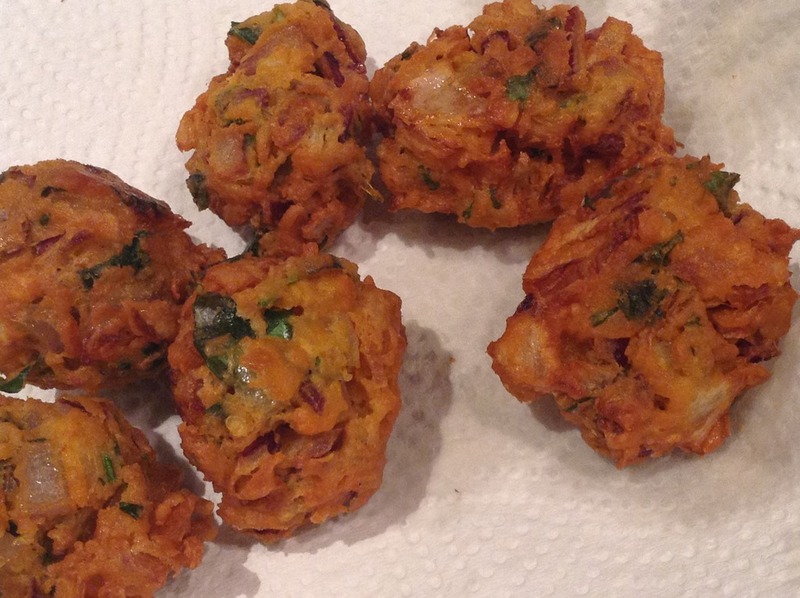 Cooking With Swapna: Instant Onion Bonda - Delicious !!! 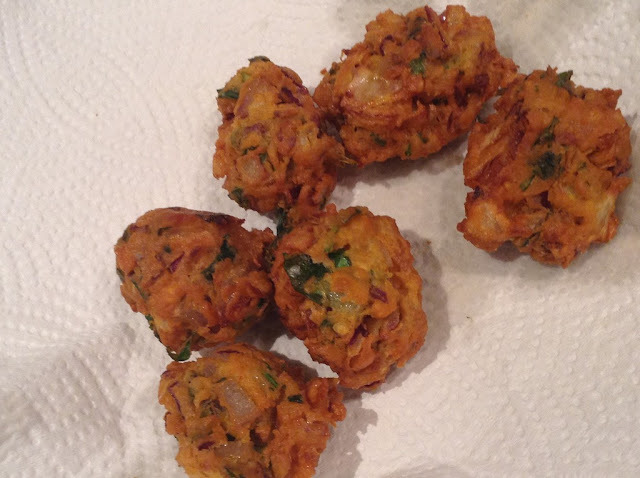 Instant onion bonda is my favourite tea time snack. 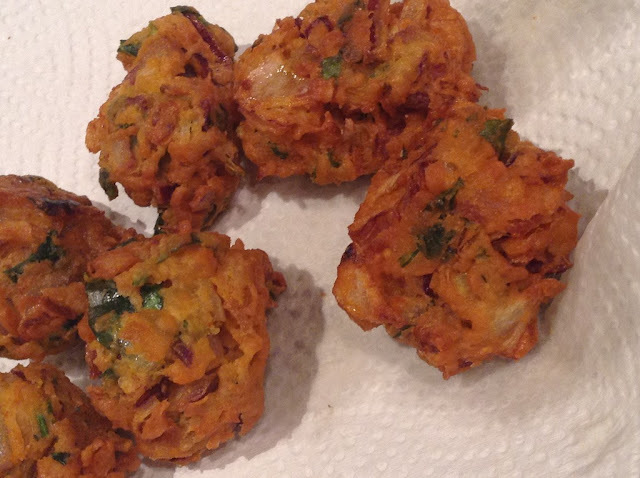 Quick and delicious after-school snack, can be served with tomato ketchup. 1. 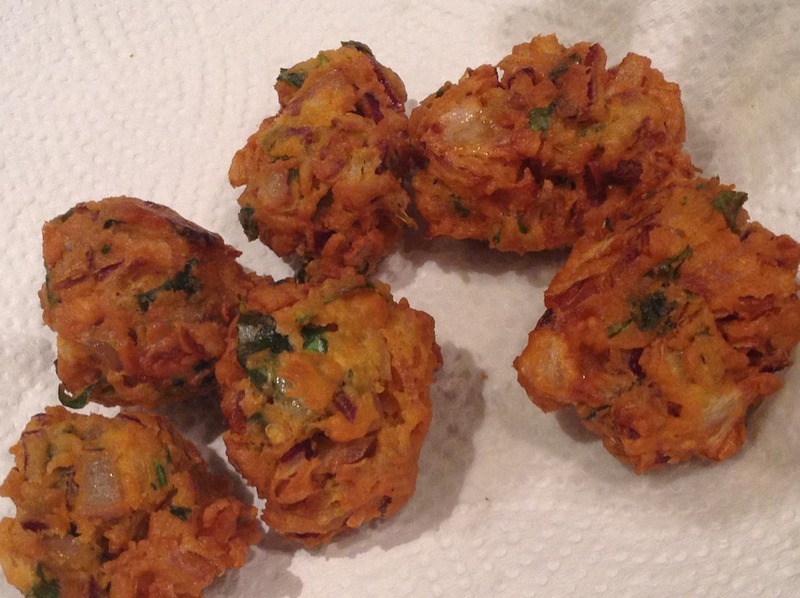 Mix together besan, rice flour, hing, red chilly powder, baking soda and salt to taste. 2. Heat oil in the deep frying oil over medium heat. 3. To the dry ingredients, add sliced onions, green chillies, grated ginger, curry leaves, coriander leaves, fennel seeds & a tbsp of hot oil. 4. Gradually add water to the mixture to make a thick batter. The batter should neither be thick nor runny. 5. 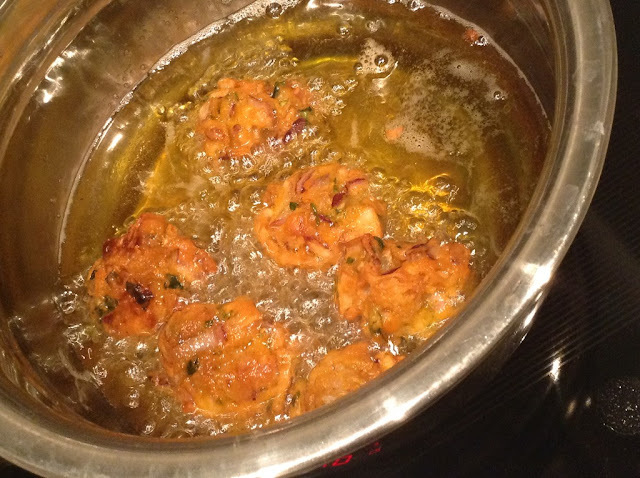 Drop the dollop of batter in the oil and fry them till crispy and completely cooked inside. Drain the excess oil in the kitchen paper and serve.